I Love Reality TV. You would think a week of sick kids home climbing the walls would be enough reality for me but I can't wait until supper is over and Mom takes control of the remote! Tonight we watched two episodes of Risky Business that we had taped. A big thumbs up to my business partner Brett Wilson. Then we watched Dragons' Den and tweeted along #cbcdragonsden. As a family of 7 it is hard to find something we all agree on watching, and by the end of the day I can't take one more episode of Two Kings, Suite Life on Deck, Max and Ruby and Barney which are all conveniently on Video on Demand! What ever happened to Saturday morning cartoons when we woke up at the crack of dawn to get our fill for the week! Another show we are hooked on is the X factor. 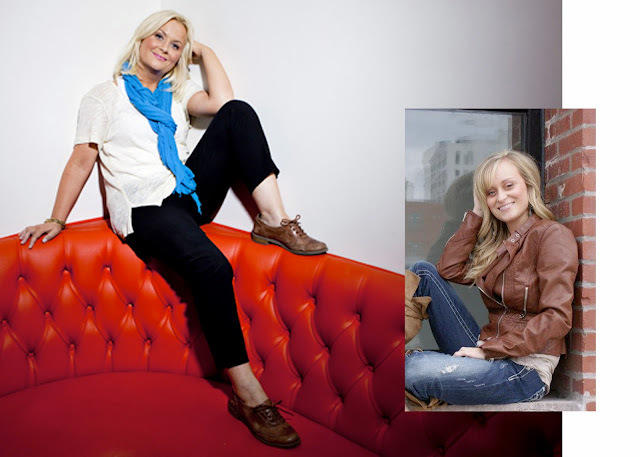 Is it just me or does Makenna of the duet Makenna and Brock look just like Amy Poehler? Maybe I need some sleep. Have a great night. They are both adorable and talented. Lancer Chokecherry Festival- Community Spirit!